Booking a ferry to Malta is simple, easy and safe with AFerry, just use the booking form above to get a price. The most popular route is Pozzallo to Malta. The average price this month for this route is £79.50 for a car and two people each way. Booking a ferry to or from Malta couldn't be easier with AFerry. You can either use the booking form at the top left of the page. Malta is situated off the coast of Sicily, in the Mediterranea Sea. The smallest country in the European Union, Malta has just 350,000 inhabitants. 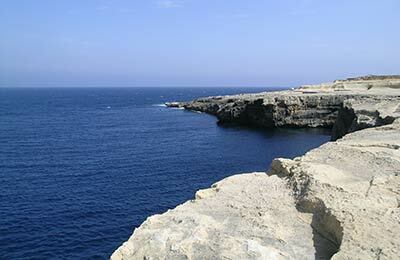 Many people come to Malta for its warm, sunny climate and its beautiful beaches and stunning scenery. The island's numerous cultural, artistic and natural treasures are there to be discovered and are all within easy access from the main port in the capital; Valletta. The many cultures that ruled Malta through history have influenced Malta's culture and architecture; this influence can still be seen today when walking around Malta's streets and villages. Whether one seeks action or relaxation, tranquility or excitement, you can find it in Malta. Malta (official: Republic of Malta), is situated off the coast of Sicily in the Mediterranean Sea. 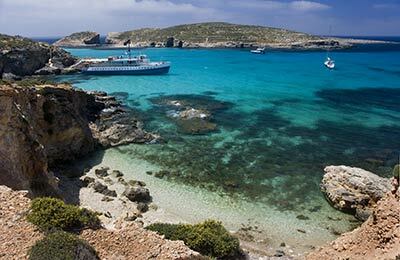 Malta is an archipelago of seven islands and has a warm and sunny climate. Malta is the smallest country of the European Union, with a population of around 350,000 and an area of approximately 316 square kilometres. Malta has a quaint public transport system made up of old 1950s British buses that have been redecorated with a generous amount of Catholic Icons. This makes them a joy to ride in. They are also cheap and a reasonably efficient way of getting round the Island. If you are planning on driving in Malta, please be aware that GPS coverage can be somewhat limited at times, resulting in some questionable directions. So make sure you combine your reliance on the GPS with a bit of common sense! Malta has a quaint public transport system made up of old 1950s British buses that have been redecorated with a generous amount of Catholic Icons. 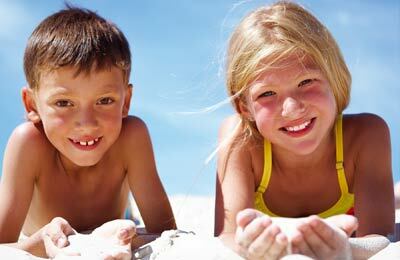 Malta is a fascinating setting for a truly memorable holiday. The islands' numerous cultural, artistic and natural treasures are there to be discovered and are all within easy access from the main port in the capital; Valletta. Malta's outstanding archaeological and architectural heritage will act as an impressive backdrop to all of one's activities - a living testimony of 6,000 years of civilisation. The many cultures that ruled Malta through history have influenced Malta's culture and architecture; this influence can still be seen today when walking around Malta's streets and villages. Whether one seeks action or relaxation, tranquility or excitement, one can find it in Malta. For lovers of music, theatre and the arts, Malta boasts an abundant calendar of cultural events. For the more active visitor, the islands offer golf, tennis, sky-diving, horse-riding, and unlimited possibilities for water-sports from sailing to windsurfing and the best scuba diving in the Mediterranean. For the more active visitor, the islands offer golf, tennis, sky-diving, horse-riding, and unlimited possibilities for water-sports from sailing to windsurfing and the best scuba diving in the Mediterranean! We're Americans. My wife's birthday, October 3rd, is normally recorded in the USA as 10-3. In Italy it's recorded 3-10. This is common knowledge. But the woman checking our passports to board the ferry got confused when the boarding pass said 3-10 and her passport said 10-3. She told my wife that her boarding pass was wrong and she would have to get another one (while we were boarding, so she might miss the ferry). This was despite the fact that my birthday, January 5, had the same problem (1-5 or 5-1) and she had looked at mine. Everything else about the trip was fine, but we almost didn't take it. The facilities at the dock in Pozzallo are basic to say the very least and there are currently no toilets available until you get into the actual dock area. Check in at the town office had been quick and easy, but until the new terminal is opened and there seems to be no work being done at present, you have to wait in the open until it is time to board. That was quick and easy and once onboard everything was fine and it was a smooth crossing to Malta. The late evening arrival was no problem as the bags were on the quay side by the time we disembarked and there were plenty of taxis waiting. Due to bad weather our Ferry was cancelled by 3 days. Virtue Ferries up dated us daily advising us of the latest conditions. They were excellent in keeping us informed.